This chapter takes you through the conditional construction statements in Scala programming. 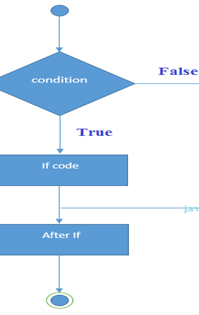 ‘if’ statement consists of a Boolean expression. If block executes only when condition is true otherwise execution of if block is skipped. If not, the first set of code after the end of the ‘if’ expression (after the closing curly brace) will be executed.